Anyone can make a fancy website and pay to get it ranking highly in your search engine, but how do you know you’ve found a reputable company? Quality accreditations and membership of professional associations are a great way to assess the standard of service you can expect from professional moving companies. Typically an expert external assessor will pre-vet the company for you with strict, regular external audits. Bournes are proud to be members of the top professional industry bodies to demonstrate our commitment to quality. Bournes is a proud Member of the Harmony Relocation Network. Find out more. Visit the Harmony Relocation Network website. Bournes is an ISO 9001:2008 Certified Removal Company. ISO 9001 the world's most established quality management system and helps organisations to improve customer satisfaction, staff motivation and drives continual improvement. What this means to you is the knowledge that the processes involved in your move have all been designed and independently audited to ensure you receive the best possible service, which means you can trust that your move will run smoothly and remain stress free. Bournes are a member of the British Association of Removers (BAR). BAR is the largest established & most recognised Trade Association for the removals industry in the UK with over 500 of the leading professional removal and storage companies in membership. Members must meet strict standards and are regularly inspected to ensure that our facilities, equipment, staff training and operational procedures remain at the highest level. Agree to abide by the BAR Removals Company Code of Practice, approved by the Trading Standards Institute. Provides financial protection through an Advance Payment Guarantee and strict policies to prevent cancellation of your move by us. Participate in an Alternative Dispute Resolution service in the unlikely event of a complaint. Find out more about the benefits of using a BAR removal company. Bournes is a Which? Trusted Trader for Removals and Storage. Bournes are a UK FIDI member and FAIM certified international moving company. As a member of The FIDI Global Alliance we are independently assessed by Ernst & Young every three years to ensure we comply with the stringent demands of FIDI's quality benchmark. FIDI is an alliance of over 500 professional moving companies in 100 countries operating to a unique quality standard designed to provide complete reassurance to people moving abroad. This shows our genuine commitment to quality, which is independently assessed and certified at the highest level giving you the peace of mind that when you move internationally you can trust us to take care of everything. Bournes are a member of IAM. IAM is a global association of forwarders and movers committed to providing customers with the highest level of service available. Our worldwide membership of over 1,800 companies from more than 160 countries and territories are available to move you wherever life may take you. IAM complements our membership of FIDI by giving us access to partners with proven quality standards in the widest possible range of locations. The European Relocation Association was founded in 1998 in response to the increasing demand for an industry body in order to increase the visibility of these services in Europe and to define standards on which clients are able to make informed decisions about quality. To date EuRA has over 350 members worldwide. The overall aim of EuRA is to be Europe’s premier organisation in relocation and the benchmark for innovation and best practice resulting in the highest levels of professionalism and service. Bournes International Moves (T.Bourne & Son Ltd) is an authorised member and agent of The Movers Trading Club Ltd (MTC) which is a Foreign (non-USA) based ‘Non Vessel Operating Common Carrier’ (NVOCC) registered with the US Federal Maritime Commission (FMC), organisation number 027552. Bringing together some of the top names from the global mobility industry and academia the Expat Academy provides a perfect environment for corporate global mobility professionals to learn, connect and share. This knowledge and expertise enables companies to become better equipped to manage the complexities of international people management. Bournes are an expert training partner to the expat academy for Relocation Services to support companies relocating their employees globally. Bournes believe its partnership with the Expat Academy will enable its members and our own clients to enhance their learning and understanding of the complex world of Global Mobility. 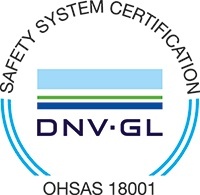 The OHSAS 18001 Occupational Health and Safety certification demonstrates the high standards of health and safety performance we achieve. In an industry that involves vehicles, manual handling and other risks we feel that this is a really important commitment to make for the wellbeing of our customers, our employees and the communities in which we operate and so we work hard to align the policies, procedures and controls we implement with international best practice. 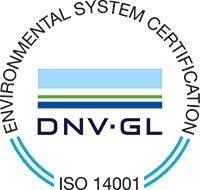 The ISO 14001 Environmental certification demonstrates our commitment to reducing the negative impact our company has on the environment. Our certified environmental management system works to continually improve our environmental performance through efficient use of resources and reduction in waste.